Convenient to walk to shops & main beach. Nice common areas. Only downside is there is no beach to walk on during high tide. Do wish there was maid service ever other day or every 2 days. We had the most amazing stay here! Everything was absolutely perfect. The location is PRIME! It is near everything, the most important being the beach. Everything you need is provided here. We can’t wait to come back. We were very pleasantly surprised by this property and will be looking again next summer to see if you have vacancies during our vacation window. It was very convenient to everything in Laguna Beach and we had the opportunity to walk versus drive - which was great! Thank you, Leo for the kind welcome. Sunset Cove is in a perfect location close to restaurants - Orange Inn for breakfast, Driftwood and many others for dinner. Ralph's grocery right across the street. Easy walk to the village shops. Beautiful beach for walks and exploring tide pools. I hope to come back next year. Great boutique, clean property with secured entrance. We were in a 1 bedroom unit that was very clean with all amenities needed for a relaxing break. There is large deck looking straight out to the Pacific with a nice fire pit for the evening. The location is the prize. Short walk to all of the restaurants downtown. Leo was very friendly and met us when we arrived. He made sure everything we needed was taken care of. We will be back with family next time in a larger unit. perfect - from the location to everything you could ever need for a perfect holiday. Will be booking again for sure!! Overall the experience was very pleasant. The manager of the property alluded to the fact that the Seychelles was in line for being remodeled, which in fact it needs. The location of Seychelles was magnificent, as was being lulled to sleep by the ocean. We also rent the Djkarta unit as we needed the extra room. Have recommended Sunset Cove Villas to many people, and my family and I will be returning. This place is just great! 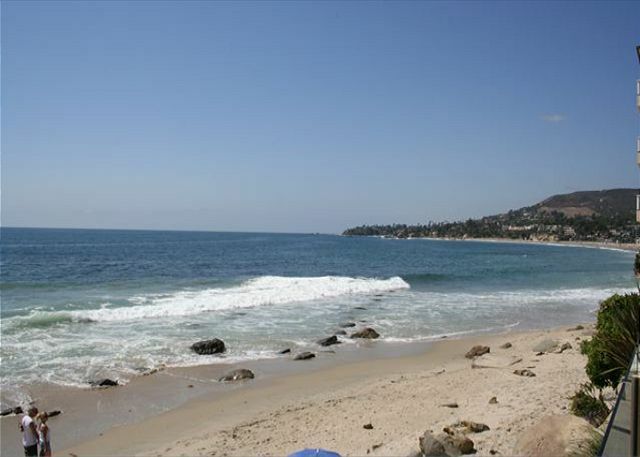 The house is situated right on the beach and next to all those great restaurants and bars of Laguna Beach. Fancy a good steak and viewing the sunset? Get the stuff at Ralph’s across the street and use the great BBQ on the sunset terrace - it can’t be better. Leo, the manager is very nice and caring, apartment is well equipped and housekeeping did change sheets and towels once during our one week‘s stay. We‘ll definitely be back! We are a repeat on this property for many years. We did notice that since it has been purchased by another group, it didn't feel the same. Some things were not as detailed as before. Some units are getting a bit old and dated. However, Leo is a fantastic property manger and always makes us feel welcome! We have stayed at Sunset Cove Villas many times and the experience is always the same- wonderful. Leo, the on-site manager is extremely helpful in making our stay so enjoyable. We have been going to Laguna for 32 years and about five years ago, discovered Sunset Villas. We love it, especially the large deck overlooking the ocean, the ideal location that is walking distance to everything in Laguna, and the privacy. Loved staying here. Walkable to everything, staff is wonderful. Excellent place all around. We were greeted by Leo, who set a friendly and relaxed tone for our stay. We stayed in the Djakarta suite, which was one of the more modest of the eight units on the property. That said though, it was very comfortable, tastefully appointed, and had everything we needed. The bed was super comfy, and the complimentary champagne was a nice surprise treat. We were also given coupons for free coffee and muffins at the coffee shop across the street. The home made muffins were to die for! The communal deck overlooking the ocean is spectacular! Daytime naps on the loungers were dreamy, and evening cocktails by the fire pit were just the ticket to a nice, relaxing vacay. The views are amazing. The property is located within walking distance to great restaurants, coffee shops, bars, boutiques, etc. House Manager Leo was helpful and accommodating throughout our stay. Since our flight home was late in the day, he gave us the latest possible checkout he could muster, and stored our bags for us until we were ready to leave Laguna Beach. We'll definitely be back! Fantastic property, conviently located very friendly staff. Fantastic! We will rent again. Everything vert clean, grocery store across the street. The views and beach were exactly what we were expecting. Nous avons adoré cet endroit. Nous avons été tres bien reçu . The Djakarta Unit had broken shutters in the main area (window that looked over Sleepy Hallow Lane). Other than that the stay was perfect! Awesome visit at Sunset Cove in early August 2016. Great location, nice beach access and all the comforts of home nestled away in this gem. Highly recommend it! Sunshine and very pleasant everyday. Great location and Leo the property manager is awesome! I can't say enough great things about this place! Best vacation in a long time! I had brought my 3 year old son to California for a week long stay at Sunset Coves. What a beautiful property! Leo met us to bring us to our villa and I cannot say enough about him. One of the kindest, most helpful, sweetest people I have ever dealt with at a vacation property. My son and I stayed in the one bedroom and slept so comfortably. The villa was perfect for us. Stunning sunset views every evening from the roof top. I loved that my car was in a garage and I didn't have to worry about parking, and to have the beach steps from our room was spectacular. Great exercise! The weather was beautiful. I really felt like I was on vacation with no worries. Location was convenient to go to Knotts Berry Farms, neighboring beaches etc. I met Tim (who had been sick) days later and he was also very friendly. We will be back for sure! This villa was perfect for our Laguna trip. It was an awesome location only 1/2 mile from the main beach. We could walk to all the shops and restaurants. It was clean and comfortable. The deck was gorgeous. From the reservation process all the way through our stay, everything was perfect. Tim made the reservation simple and Leo was the perfect property manager/host throughout our stay!!! I can't say enough! The villa was immaculate and had everything we needed. The kitchen was up-to-date, the furniture all comfortable. The bed and linens were soft and cozy and we slept like babies to the sounds of the crashing waves! The outdoor space provided comfy furniture and even a fire pit! 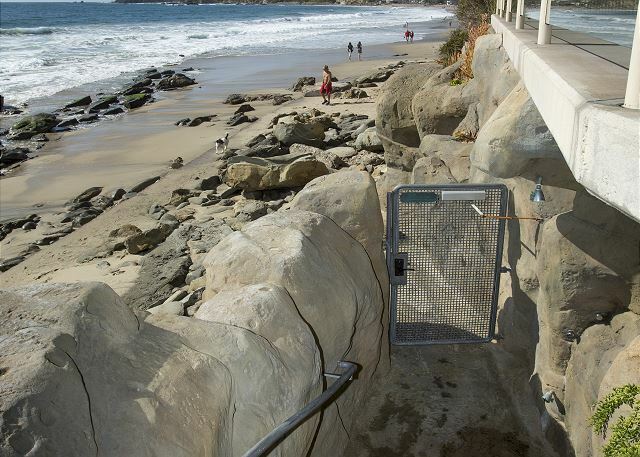 There is easy beach access via private steps. Can't wait to return! Hands down the best place to stay in Laguna Beach! The property has been kept spotless and is in immaculate condition everywhere you look. It is nestled right on the beach. 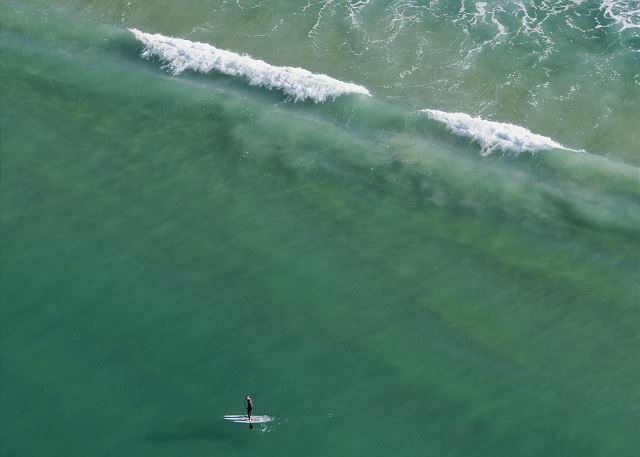 To get any closer to the beach, you would need to be on a boogie board. Tim, the manager, and his staff are very kind, professional, and easy to work with. I would definitely recommend this accommodation to friends and family, and would also book it again in a heartbeat the next time I stay in Laguna Beach. This is our second time visiting and we stayed in a different villa. Tim was very helpful when we arrived and offered us an upgrade due to a cancellation. We will definitely stay here again! We recently stayed at the Sunset Cove Villas (Djakarta) for a week. The location is excellent, right on the beach & restaurants, shopping & groceries are all within walking distance one block off the Pacific Coast Highway. While Djakarta does not have an ocean view from the condo, there is a large common area with seating which overlooks the ocean & provides a spot for catching some rays, having a beverage or enjoying the sunset. Property staff were very helpful & welcoming. I would highly recommend this property. Everything about our stay in Djarkarta at Sunset Cove was wonderful. The furnishings are comfortable and aesthetically pleasing, and the unit has everything one could possibly need to relax and unwind. 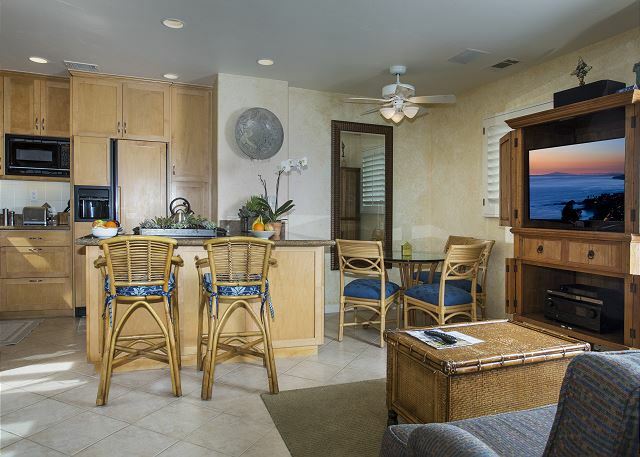 The kitchen was outfitted with all the amenities you'd need to stay in, but the location is also perfect for walking along the beach, or out to dinner a few blocks away. The start of hiking trails, a local winery, and marine mammal rescue centre (which we thoroughly enjoyed visiting) are even within a 30 minute walk for the adventurous. Tim was helpful, welcoming, and attentive without being overbearing. The parking was very convenient and the property is beautifully maintained. The views were terrific and we can't imagine a better spot to stay in Laguna Beach. We wished we could have stayed much longer and will definitely be back. In the sun and away from the snow! Good location; older property but well maintained; covered parking was nice; Tim the manager was terrific; kitchen very basic but usable; lots of clean towels and excellent housekeeping services; comp bottle of champagne upon arrival! and upon arrival, surprised us with an upgrade. From the minute we walked into the beautiful, revently renovated unit we were blown away. Everything was what you would expect in a luxury condominium . The kitchen was terrific with nice appliances and extremely well equipped. The bathrooms were really lovely with the master bedroom's have a draw dropping view of the ocean. All the linens were top notch and most importantly the whole unit was extremely clean. There were two widescreen TV s in the unit which added to our enjoyment. The views from the patios of Sunset Cove Villas couldn't be beat. We enjoyed spectacular sunsets and even spotted dolphins. We also enjoyed watching the surfers. Access to the beach was easy and beach chairs and umbrellas were provided. The location to the restaurants and shops of Laguna was great, just opa short walk. We also were provided our own spot in an enclosed garage. Sunset Cove Villas is a well managed property and a great perfect place to stay in Laguna. We stayed at the Villa for a few days over New Year's. It is clean, comfortable and close to a wonderful sandy beach ---just down the stairs. The owners left a bottle of champagne in the refrigerator for us! Just so other renters are aware; there are dishes and utensils but unlike other VRBOs there is not anything else, ie, S&P, oil etc. So if you plan to do any cooking you will need to bring or shop. This is was a great vacation spot directly on the beach and located in the center of town with walking access to everything. The property was first class with everything you needed. Although the Djekarta does not have ocean views, the property has a main deck and ocean deck with the best views to watch the sunsets. We look forward to comming back next year. Amazing property and beautiful vies, the best vacation as always! We have stayed several times in different units and would highly recommend to friends and family! Thank you very much for the great review in our one bedroom Djakarta- I am sure this will help a future guest. Best vacation spot in Southern California. I've been coming to Sunset Cove Villas for several years now, and it will always be my favorite vacation spot. Tim and Peter are always ready to help, and answer any questions we might have. I have in the past, and will continue in the future to recommend Sunset Cove Villas to my family and friends. Thank you again, Tim and Peter, for having us! It was amazing to get married in my favorite City in California, and on top of that to stay at my favorite vacation spot! Thanks Hailey- hope your "Day" went well! Everything was top-notch! We liked the unpublicized amenities we found like a digital safe, great Internet access, beach chairs and boogie boards, and everything we needed to do our own baking and cooking. Thanks Lewis- sorry I did not get to meet you on this trip but feel secure that Peter took great care of your needs. Lovely accommodations. Walk everywhere: beach, restaurants, grocery, shops, galleries, music. Beautifully decorated, lovely kitchen and bbq for when you don't want to go out. Enjoy the sunrises & sunsets on the deck overlooking the Pacific and downtown. Thanks Nick, very kind words and hope to see you and your family next year. From start to finish, all aspects of my stay in Djakarta were excellent. The location, the comfortable and classy interior and helpful staff made my trip memorable. I was a business traveler who chose the condo over a traditional hotel. I shopped at the grocery across the street and Trader Joe's a few miles away and cooked healthy for myself all week. I highly recommend Sunset Cove Villas in Laguna Beach. We love the Sunset Cove. this time we stayed in the Djakarta. usually having stayed in one of Sunset Cove's shorefront villas, we missed being able to just step out of our unit onto an ocean front deck. Also,in this back unit, one can hear street noise, but it is a good alternative to staying in a larger hotel complex. Mid October was beautiful and warm. Laguna Beach has been our beach destination for 30 years. We watched the Sunset Cove Villas be built and they provide the perfect location to stay. The accommodations are wonderful. 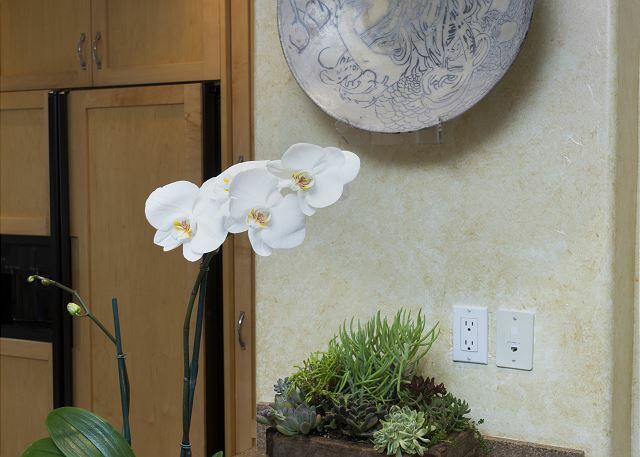 The condo's are always updated, spotless and provide everything that you need for your stay. Garage for vehicle, easy gated stairway to beautiful beach & large deck overlooking the ocean, great for a drink and watching the sunset! Short walk either by beach or street to town for dinner or shopping. We look forward to our return next year. Great place on the beach..cant beat it!! We were more then pleased with everything the sunset cove villas provided! The villa was extremely clean and cozy and the prop managers were around when needed and very nice! We would def recommend this prop to anyone who wants a great beach getaway! We were quite pleased with our stay at Sunset Villas. It was well-maintained and managed. We especially enjoyed the large deck overlooking the ocean with pretty flowers all around. Thank you Donna, it was nice having you and your family with us. This was my first visit to Laguna. Excellent choice ! ! Property manager met me upon arrival and everything was presented in a professional and personable manner. The private beach area was great for the kids and not crowded like the Main Beach. Everything you want is within walking distance and Ralph's is across the street. The added bonus of the laundry facility on site was a saver as well. Kudos to Peter and Tim ! ! We are already planning a return trip to Laguna and this will be our residence of choice. Thank you Kevin, glad to hear you and your family enjoyed your stay in Laguna and we look forward seeing all of you in the future. Also, we really appreciate/noticed how nice you left the villa! Location! Amenities! Facilities! This place has it all! Beautiful accommodations in the best possible location. Thanks Laurie, you were kind in your review- hope to see you soon! Thank you Barbara, so happy you enjoyed your stay and we are grateful for the kind words. We enjoyed Djakarta very much. The location is great, steps to the beach and Downtown, the apartment was very nice, clean, and the manager very helpful! We will definitely return back to Sunset Cove Villas. My husband and I had a delightful stay at the Sunset Cove Villas Laguna Beach. Tim and Peter were both extremely helpful and friendly. The location is fantastic...easy walk to shops, cafes and market. Also located right on the beach for beautiful walks. Marvelous. We could not have asked for a bettle place to stay. Everything was top of the line. Wish we could of stayed longer. We had a very short advance notice and were able to get Djakarta for 3 nights only. Couch & chair not too comfortable, but didn't spend much time there anyway. Next time we'll book in advance and get a room with an ocean view for a longer stay. I have been renting summer homes in Laguna Beach for 30 years. This is my favorite and just the right size now that the kids are grown. I hope to be back next year. It really was like staying at a first class resort! Great Walking Location, Clean, a comeback place! We've been staying here for 5 years and always have the best time! Beautiful condo in the best location in Laguna! Any problem is always taken care of quickly, the best staff. Great vacation experience. Tim was very helpful in placing the reservation. Peter, the property manager, was attentive. The property was safe and well-maintained, with many conveniences close by (restaurants, shopping, grocery store, surf shop). The adjacent beach, while not the prettiest in the area, was easily accessible. Would definitely stay here again.